The JMSC has earned a reputation for innovation during a time of rapid change in the hardware and software journalists use to tell and visualise stories in multiple forms. The emphasis on utilising the latest tools began from the start, in 1999, when the JMSC introduced in its new media class the then little known method of communication known as blogging. The JMSC remains ahead of the curve of change today, with its use of digital tools to harness large amounts of data and shed light on vital issues. 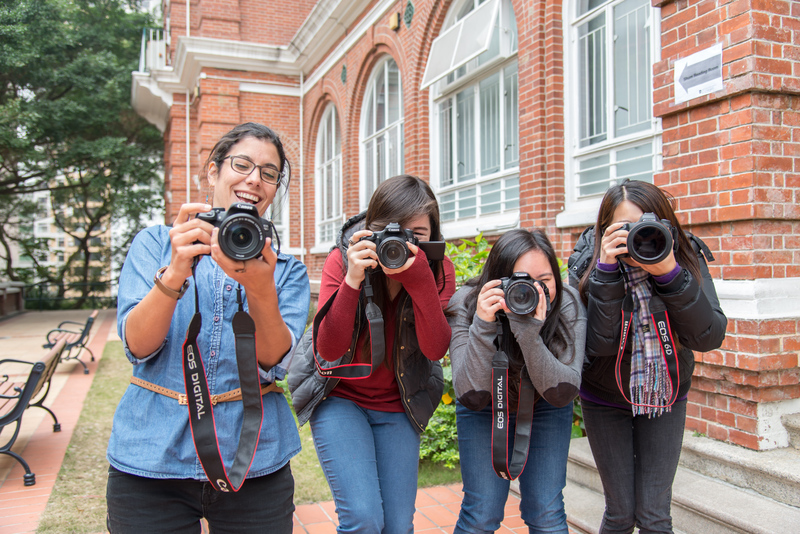 At the same time it was beginning to transform its home in Eliot Hall, with a major renovation that included the latest environmentally friendly technology, the JMSC invested heavily in equipment for multimedia production, including cameras and editorial software. The investment guaranteed that every student could complete photographic, broadcast and new media coursework using JMSC-provided equipment. The equipment was regularly upgraded over the years, so that students could learn with tools they would likely encounter in the professional world. 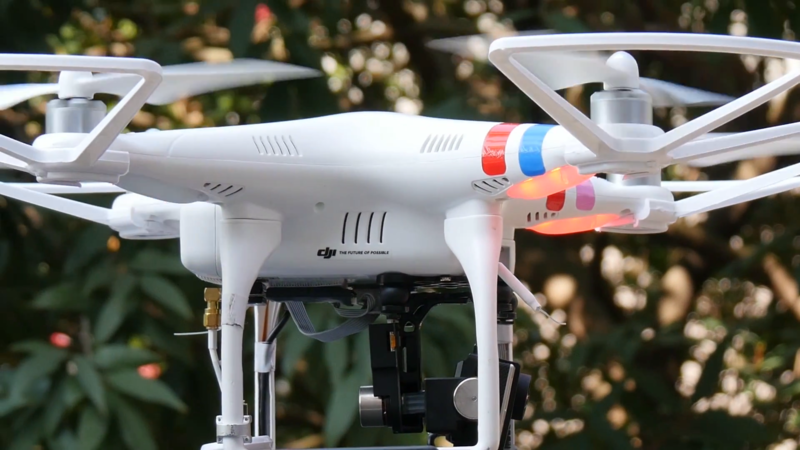 Faculty members have regularly introduced new technology to students, including over the last few years 360-degree cameras, virtual reality (VR) storytelling and drones for aerial photography and video. Students and staff have experimented with VR photos and videos for interviews, live coverage and standalone social media content, as well as filming a VR video via drone. 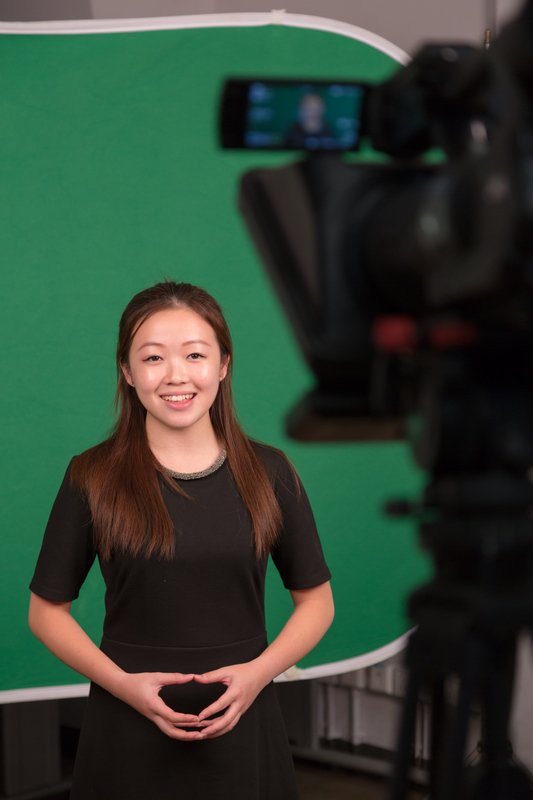 The JMSC’s equipment and technical capability enables it to offer multimedia production services to outside groups and other faculties and departments within HKU. Students benefit by working on projects that provide opportunities to learn multiple skills, including covering live events. 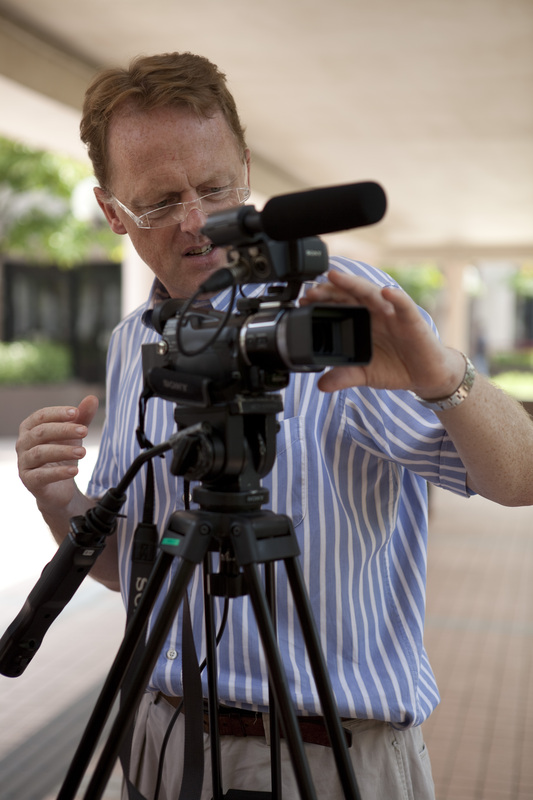 The production services began in 2006, and have included Endowed Professorship videos for HKU’s Development & Alumni Affairs Office, the Focus Asia Business Leaders series for HKU’s Asia Case Research Centre (with some episodes being aired later on the BBC and ATV), and a film about the Central Police Station for the Hong Kong Jockey Club. Other clients have included the HKU Medical School, Department of Surgery, China Affairs Office, Academic Liaison Office, Research Services and Knowledge Exchange. In the 2010–2011 academic year, Nancy Tong and Ka Ho Ng also produced a documentary series about Kunqu, a kind of Chinese musical opera. In addition to multimedia production, the JMSC has been at the forefront of computational journalism—the use of software, databases and algorithms to extract information—and data journalism, also known as data-driven journalism. The tools enable reporting of data that can be visualised and used in courses for students and professionals, and for research on issues of public importance. With more and more information available online and with more accessible, machine-readable databases, the internet is creating demand for journalists able to combine the traditional skills of investigating, verifying and reporting with the ability to understand and process large amounts of data quickly. Sometimes, the difficult part of data collection is getting public agencies to make it available. 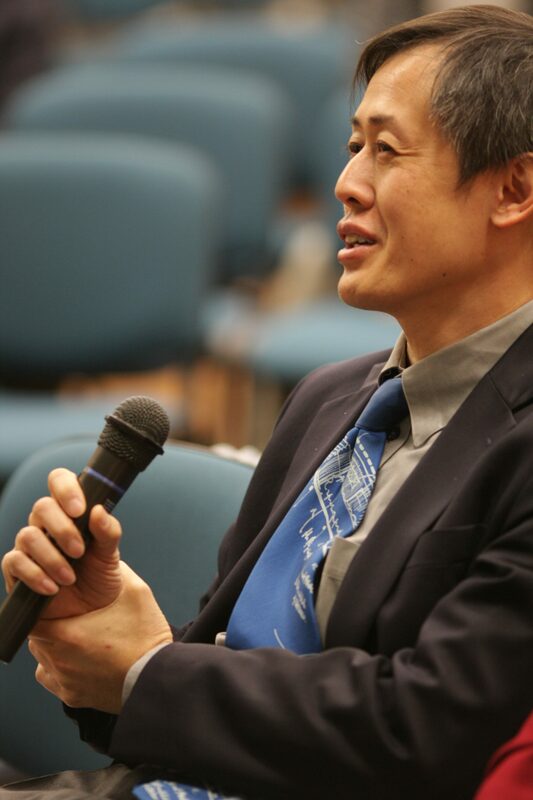 In March 2010, Chan Pui-king, a JMSC Honorary Lecturer and researcher, began asking why it was hard to get Hong Kong government data. The HKSAR had a Code on Access to Information, but it was still difficult or impossible to gain access to certain types of information. In several articles, Chan commented on the government’s reluctance to shed light on issues pertaining to land use and other key areas of citizen concern. Dr Fu King-wa had also been attempting to gather information for his research for HKU’s Centre for Suicide Research and Prevention. Fu asked the MTR Corporation to provide data of suicides and attempted suicides at MTR stations without screen doors in 2006. When MTR officials refused, he asked the Environment, Transport and Works Bureau and was again turned down. In January 2007, the government ombudsman ruled that the government should hand over the information, but it took until late 2008 until Dr Fu obtained the data. A key moment in the evolution of data-based journalism came in September 2010, when several Chinese newspaper professionals, supported by the JMSC and Shanghai-based newspapers, the Chinese Business News and Oriental Morning Post, came together to explore how the industry was changing. Of particular concern was data and how visual designers could adapt to new technology in order to handle the pressing need of visualising large amounts of it, and within the quick turnaround of a daily news-cycle. In March 2011, at a research seminar organised by the JMSC and HKU’s Department of Computer Science, a panel of journalists and computer experts shared their research projects on computational journalism. 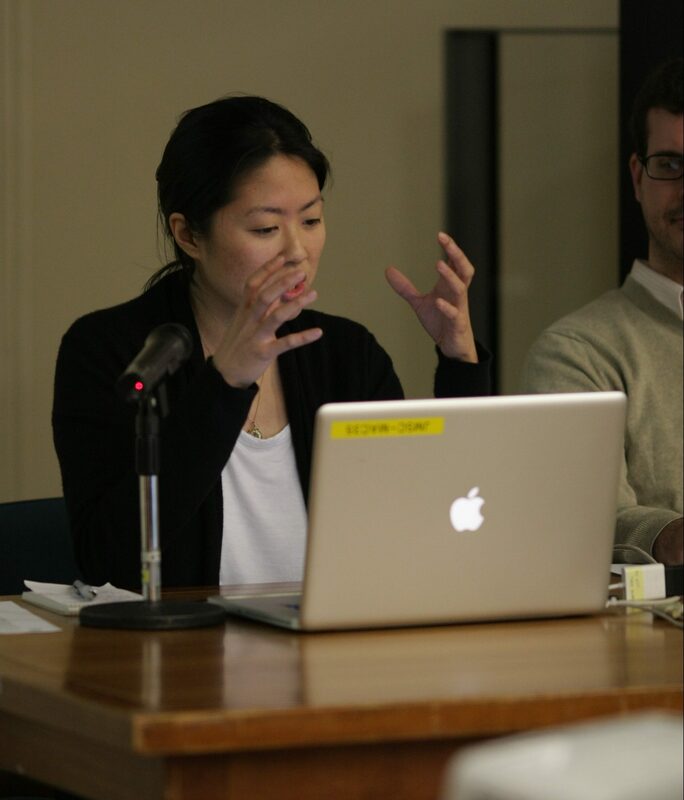 Professor Ying Chan moderated the seminar and Jonathan Stray (MJ, 2010), who had become Interactive Technology Editor at the Associated Press, joined the seminar from New York via Skype. He illustrated the story of a Japanese earthquake through maps, Twitter updates, photo essays, satellite images and tectonic animations. Stray also demonstrated the use of a phrase-tracking project called Meme Tracker and explained that it could be used with online data from China to ‘study the spread of information between languages’. At the March 2011 seminar, the JMSC’s Irene Jay Liu and Dr Fu King-wa spoke about their respective projects. Liu described Who Runs Hong Kong, a power-mapping project assembled with the help of JMSC interns; it collected information from Hong Kong public documents and websites to establish connections between organisations and people using Think Map visualisation software. Dr Fu spoke about his data-mining project (later to become Weiboscope) on Sina Weibo, which used a server to track frequently posted messages on the platform and identify the most discussed topics. Fu said that this could prove useful for reporting and research. Professor Chan said such projects were ‘only the start’, and ‘we at the JMSC are committed to pursuing this area of journalism’. In November 2012, the JMSC hosted the ‘Global Marathon for Data Visualization’. Students competed in teams of up to four for more than US$10,000 in prizes in the world’s largest student data visualisation competition. The marathon was held at the HKU Centre for Enhancement of Teaching and Learning’s new collaborative learning space. At the beginning, a dataset was unveiled and students competed over the weekend to design and build a project that visualised the data. Workshops by data visualisation experts were also broadcast. Dr Fu has done extensive research into censorship and social media in China and public opinion and health issues based on online content. His published research papers include ‘Analyzing Online Sentiment to Predict Telephone Poll Results’, ‘Responses to a Self-Presented Suicide Attempt in Social Media’, ‘What Do Internet Users Seek to Know About Depression From Web Searches? 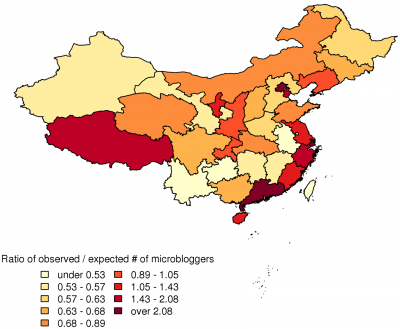 A Descriptive Study of 21 Million Web Queries’, and ‘Assessing Censorship on Microblogs in China: Discriminatory Keyword Analysis and the Real-Name Registration Policy’. In March 2012, Dr Fu presented his project to understand the nature of online public opinion in Hong Kong at a research seminar called ‘Public Opinion in HK: A Big Data Approach’. He explained how he developed a way of sampling and analysing public opinion by focusing on people whose online profile was located in Hong Kong and using various websites and social media platforms to analyse the use of government-related keywords. 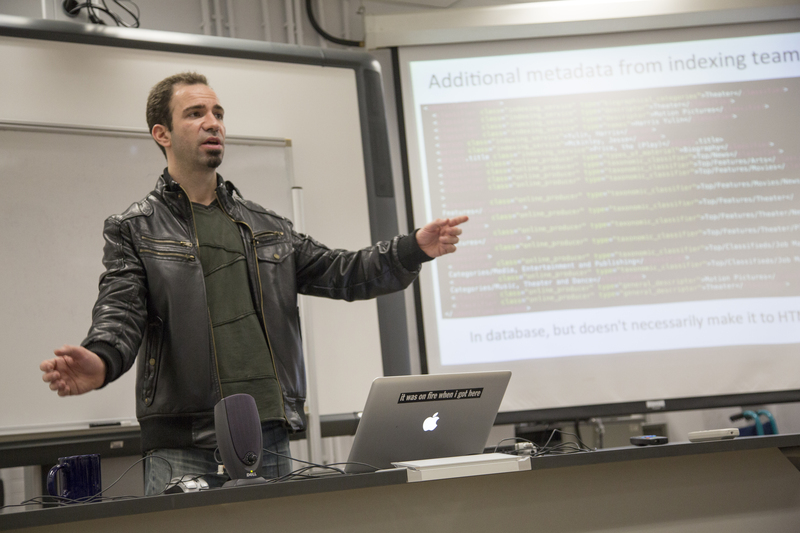 In the autumn semester of 2013, Jonathan Stray taught a course dealing with advanced concepts for working with large datasets as a way to understand and tell stories called Computational Journalism (click here for the lecture videos). The postgraduate course covered how techniques from visualisation, natural language processing, social network analysis, statistics, and cryptography apply to four different areas of journalism: finding stories through data mining, communicating what is learned, filtering an overwhelming volume of information, and tracking the spread of information and effects. In January 2013, Stray also taught the first computational journalism course to professionals and other members of the public at the JMSC. 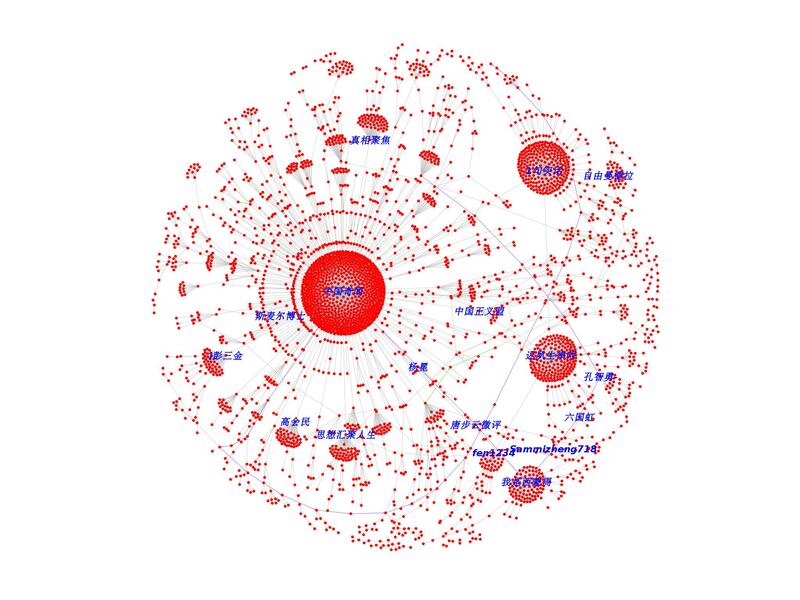 As noted above, Dr Fu’s project Weiboscope has also been a key source of data on social media in China—click here for more on the project. All of Dr Fu’s data has also been released (Open Weiboscope Data Access) for others to study. A web application using data from the project to track posts deleted from Sina Weibo, called WeiboTrends, was developed in 2013 by Henry Williams (MJ, 2013), Tony Yoo (MJ, 2013) and Jacky Wong (MJ, 2013), all students who took the JMSC's first computational journalism class with Jonathan Stray, and joined the Master of Journalism programme on data journalism scholarships funded by Google.  They subsequently also created WeiboTrendsPro, a Twitter feed of English translations of the deleted posts. Within 36 hours of WeiboTrend’s launch, the website had received more than 10,000 unique visitors, with sixty percent of users from mainland China. A day or two after the launch, China began censoring the site and within a week, it had been blocked entirely. 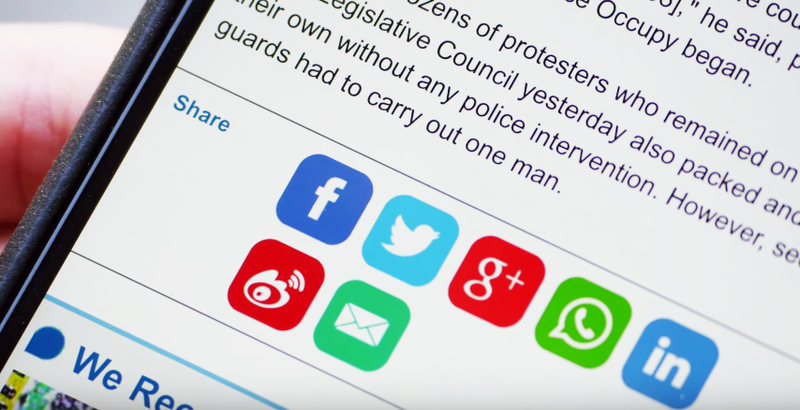 In 2013, Dr Joyce Nip, a senior lecturer in the Department of Media and Communications as well as Department of Chinese Studies at the University of Sydney, visited the JMSC on sabbatical to analyse how Sina Weibo affected public opinion in China. She spoke about her research in a talk titled ‘Challenging official propaganda? Public opinion leaders on Sina Weibo’. In early 2014, the JMSC was the local Hong Kong partner supporting Data-driven Journalism's five-week online course, ‘Doing Journalism with Data: First Steps, Skills and Tools’. The free course provided participants with the concepts, techniques and skills to work with data and produce compelling stories. The JMSC hosted a weekly meetup session to bring students together and to provide technical support for all students taking the course. Later that year, the JMSC’s innovation in data journalism training was further illustrated in a week-long Asia Data Journalism Bootcamp taught by instructors from the National Institute for Computer-Assisted Reporting (NICAR), based at the University of Missouri, and the JMSC. Participants learned how to acquire electronic information, to ask and negotiate for data from official sources, and use spreadsheets and databases to analyse and publish information. In 2015 ,the JMSC partnered with the Global Editors Network (GEN) to organise Asia’s first Editors Lab hackday event, supported by Google, and focusing on video journalism. Journalists and media experts from companies such as YouTube, the Associated Press, Storyful and The Economist kicked off the event with a series of workshops. Nine teams from media in China, Hong Kong and Malaysia (each consisting of an editor, designer and developer) worked together across two days to build a prototype focusing on a practical problem in video journalism. A platform named ‘Hawkeye’, developed by a team from Caixin Data Visualisation Lab in China, won the event. In recent years, the JMSC has organised massive open online courses (MOOCs) to offer its expertise and knowledge to learners around the world. It is another illustration of the JMSC being a pioneer of e-learning at HKU and tech-enabled distance learning for the Asian region. In June 2013, the JMSC tested a pilot version of a new online training course, ‘Behavioral Change Communication During Outbreak Response’, the culmination of the Conference on Communicating Infectious Diseases Risk, to mark the tenth anniversary of the SARS pandemic. This then led to the development of HKU’s first-ever MOOC, ‘Epidemics’, in September 2014 in conjunction with HKU’s School of Public Health. The first solo JMSC MOOC was ‘Making Sense of News’, which ran for the first time in May 2015. It drew more than 7,500 registrations from 147 countries. The six-week course is regarded as an example of the successful implementation of a journalism-focused media literacy course for the general public. It was repeated in February 2016. 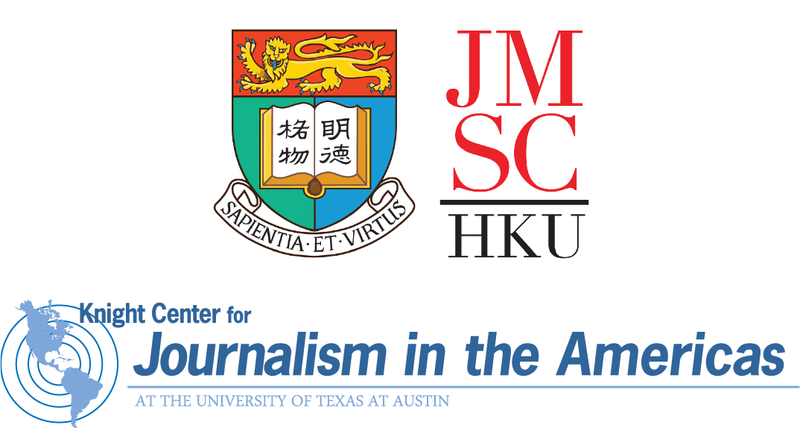 In November 2015, the JMSC’s foray into MOOCs continued with ‘Introduction to Infographics and Data Visualization’, which represented the first collaboration between the JMSC and the Knight Center for Journalism in the Americas at the University of Texas. The course was designed primarily for the public and journalists in Asia, with the aim of setting a path for future courses mainly focused on Asian learners. China’s internet restrictions posed a challenge, so resources were hosted on local servers to make them accessible to mainland students. In 2016, more than 4,000 people from over 120 countries—including more than 1,000 from mainland China—registered for MOOC ‘Data Journalism Fundamentals’, produced by the JMSC in partnership with Google News Lab and top news organisations in Asia. More than 11% of those who registered completed the course, a high percentage by MOOC standards. The course was the first of its kind created for Asian journalists; a global teaching team collaborated to provide learning opportunities for participants from around the world. The use of social media for recruitment, outreach and management of the course helped build an active online learning community. The JMSC’s involvement with online learning goes beyond large MOOCs. In November 2015, the mobile messaging platform WeChat was used to facilitate a bilingual discussion, organised by Peace China, a non-profit foundation devoted to public communication, the JMSC and the Woodrow Wilson International Center for Scholars. More than 40 participants in locations across mainland China, Hong Kong and Washington DC took part in the conversation. The format was another innovative first for the JMSC, integrating both text and spoken word audio messages in English and Chinese. A team of translators simultaneously translated the audio and text messages in the WeChat group, allowing participants to follow the discussion at their own pace, whilst also providing a permanent record for later follow-up. To survive in the journalism economy of today, students require business acumen. 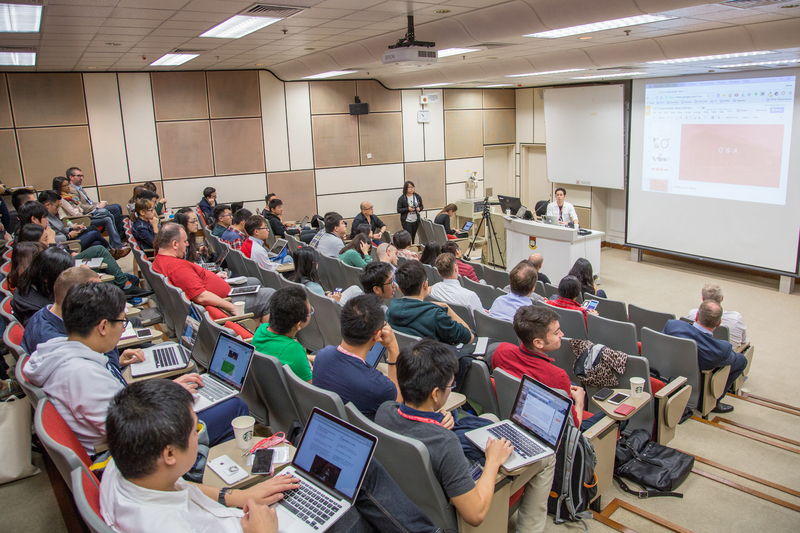 The JMSC strives to provide this through its academic courses—‘Digital Media Entrepreneurship’ ran for the second year in 2016—and also through events and seminars. 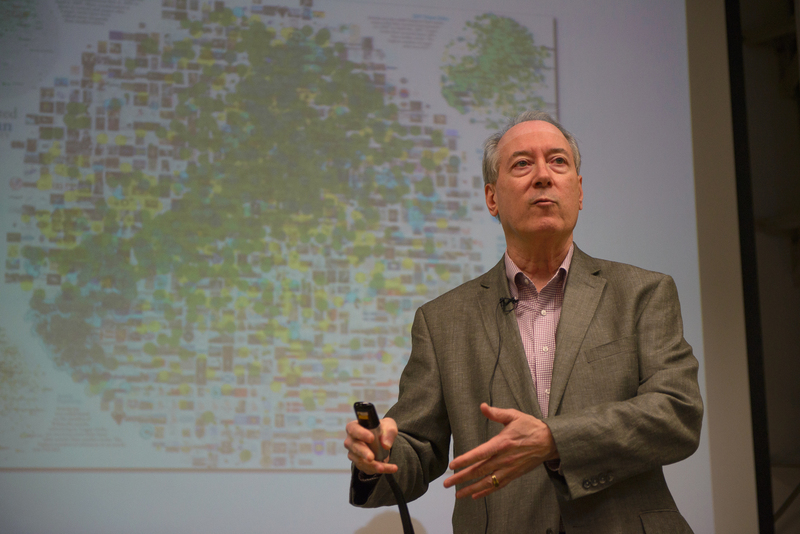 In May 2012, former faculty member Dan Gillmor returned to teach a seven-day class at the JMSC about the culture of startup companies and why digital media suit them so well. During the course, students pinpointed a gap in the media market, developed a startup project to fill it, and learnt how to identify their audience and how to pitch to potential investors. Gillmor also delivered a public lecture on entrepreneurship in digital media at the HKU Shanghai Study Centre as part of the JMSC Shanghai Public Lecture Series after running the course in Hong Kong. He returned to the JMSC again in February 2014 to give a talk titled ‘Imagining Journalism’s Future: Conversation, Data, Experimentation, and Entrepreneurship’. 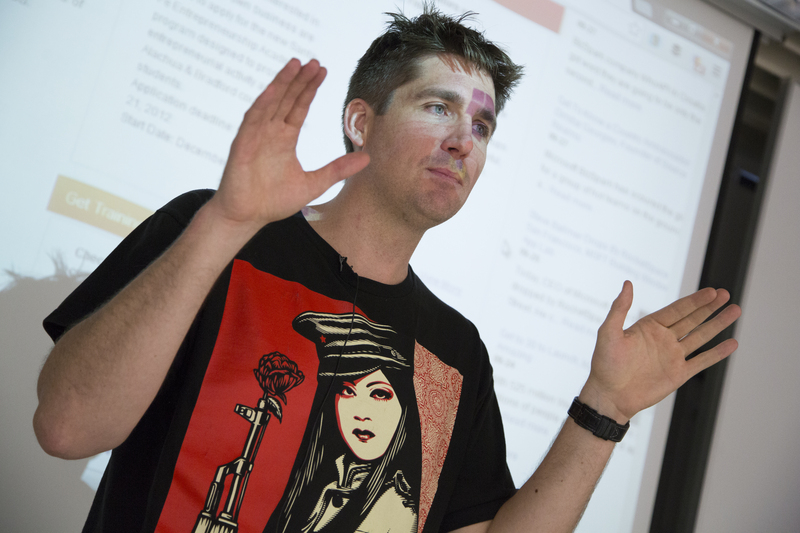 In September 2012, Doug Crets (MJ, 2005), a member of the Emerging Businesses Team for Microsoft‘s Developer and Platform Evangelism Division, spoke about digital entrepreneurship for journalists. In 2013, a Media Entrepreneurship Pitch Session was organised as part of the New.Now.Next Media Conference (N3Con), organised by the JMSC and the AAJA-Asia. The session was hosted by Sasa Vucinic, founder of IndieVoices, a crowdfunding platform that raises money to support independent media. It was designed to encourage and develop digital media and entrepreneurial skills. Three new media project ideas were awarded with business and entrepreneurship training, strategic guidance, and mentoring by Vucinic. The awards went to an online platform about violence against women in Hong Kong and China, a video game to help treat depression in women, and an independent media outlet for Myanmar. JMSC students and alumni, including some who took JMSC entrepreneurship classes, are showing startup skills in several ways, including online media organisations, a public relations company and a social enterprise. 2003 MJ Doris Leung left reporting to start Diamond Cab, a barrier-free taxi service in 2011. By April 2016, Diamond Cab had completed more than 100,000 advance bookings in Hong Kong, mainly for wheelchair passengers. In 2014, Leung also started Diamond Leisure—an initiative seeking corporate sponsorship to transport elderly people in wheelchairs to take part in leisure activities using Diamond Cab―and other ‘Diamond’ events to advocate the importance of barrier-free access for the elderly. Also in 2011, Andrea Fenn (MJ, 2010) founded Fireworks, a digital communications agency that has provided social media consultancy services for brands such as Ford, Hennessy, Trussardi, Armani and Ferragamo in China. Fenn gave a public lecture titled ‘Social Media for business: looking beyond the buzzword’ in November 2012 at the JMSC Shanghai Centre. Michelle Yuan (MJ, 2014) founded Asia Wedding Network in 2015, a one-stop online magazine for Asian women planning their weddings. In 2016, Yuan was named by Forbes Magazine as one of the 30 ‘top promising young leaders, daring entrepreneurs and game changers’ in Asia’s Media, Marketing and Advertising sector in their ‘30 Under 30’ list, part of a broader list of 300 individuals in 10 different sectors. 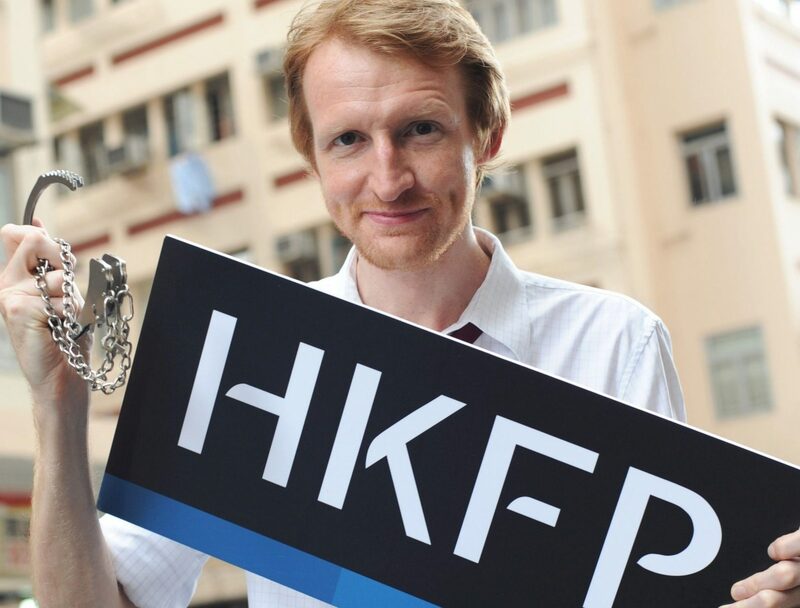 In June 2015, MJ student Tom Grundy launched Hong Kong Free Press, a not-for-profit, online English-language newspaper with a team of six journalists. Grundy and his business partner, local journalist Evan Fowler, used a local crowd-funding platform, FringeBacker, to raise the funds to launch their venture. A year after it went live, HKFP had logged 3.5 million unique visitors, with 49,000 Facebook fans and 26,800 Twitter followers. Also in 2015, MJ alum Annie Zhang (2006) became the founding Chief Executive Editor for startup Initium Media, a Hong Kong-based digital media organisation that provides news, opinion and lifestyle content to Chinese-speaking readers worldwide. In its first year, Initium attracted 3 million unique users a month, launched an app that was downloaded 150,000 times, and hired 70 staff in Hong Kong, Taiwan, Europe and the United States. 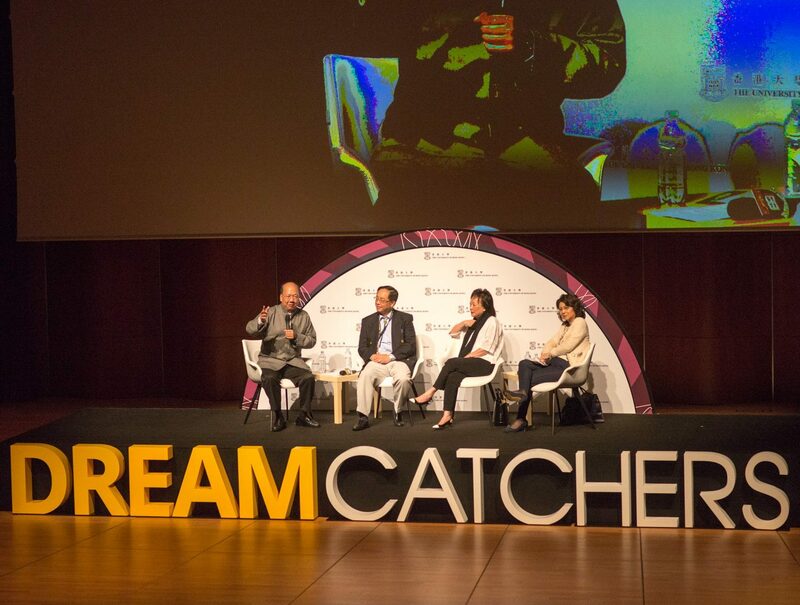 The JMSC was one of the sponsors and organisers of the inaugural DreamCatchers conference held on Sunday 31 May 2015. JMSC staff, alumni and students helped plan the event and set up a studio on site to interview 47 speakers and participants, including dozens of startup entrepreneurs. Professor Chan moderated a panel on the resources and support available to startups in Greater China, and JMSC alum Doug Crets hosted a panel on media entrepreneurship titled ‘Media Tips for Founders: Gaining Traction and Customer Exposure’. In 2016 the JMSC continued to play a central role in the DreamCatchers programme as one of the four organisers of the inaugural DreamCatchers 100K entrepreneurship seed funding initiative aimed at supporting young entrepreneurs to kick-start their businesses. The results of the competition were announced in August, with each winning team awarded HK$100K in grants and receiving mentorship from experts.